After introducing characters and obstacles in episodes 1-4, episodes 5-8 give a more in-depth look at our four rockers and the villagers in Hadoorokri. It is here that we see the real development of close relationships from the platonic to the romantic, as well as some new sub-plots. The series does an interesting job of portraying different kinds of love, as well as introducing new characters with taboo type relationships. The four bandmates are in very different categories when it comes to love. Ki-joon (Kwak Dong-yeon) shows the most juvenile side of love. Bool-ja’s (Han Joo-hyun) innocent crush on him makes him the target for some playful teasing from his friends and the villagers. But instead of taking it in stride, he insults her in an attempt to make her leave. Like an elementary school child, Ki-joon is more concerned about appearing cool than rejecting Bool-ja in a more considerate way. 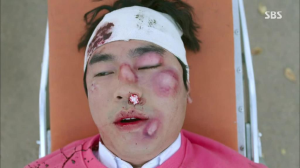 A series of accidents, including an ill-placed snake bite, only lead to more teasing for Ki-joon and more insults for Bool-ja. Even his friends step in and say that his cruelty goes too far. It is surprising, however, that none of the villagers seem to care about their “romance” or even the awkward positions they find them in; they take the progressive attitude that such skinship is only natural for young people. 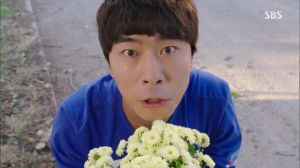 One step after Ki-joon’s immature love is the more idealistic and naïve love shown by Han-chul (Lee Shi-un, Reply 1997). With a short future looming before him, he decides to throw all caution to the wind and confess his feelings for Soo-yeon (Kwon Min-ah). She’s unenthusiastic to say the least, and Han-chul’s obliviousness to her reaction shows that not only is love blind, but also completely deaf. Simply spending time with her makes him deliriously happy to the point that not even a gushing head wound can damper his spirits. Nothing she says or does can convince Han-chul that she’s just another girl with faults. It’s unclear whether he truly loves Soo-yeon or if his lack of time is driving him to extremes. After idealism is shattered usually comes a broken heart and the emotional walls. Kang (Park Min-woo, Roommate, Flower Boy Ramen Shop) is more secretive about his feelings, hiding them behind his bright smile and dimples. Instead of telling Yoon-hee (Lee Ha-nui, Pasta) upfront that he likes her, he is always testing the waters to see what her reaction is. It’s obvious what his feelings are when he tries helping her with sewing and buys her a hair pin. But taking the plunge is still too scary for him, so he insists that all of his flirting is a joke. Sang-deuk (Seo Dong-won, Dancing Queen) also has had his guard up ever since his first love, Mi-young (Jung Si-A, Holy Daddy), cheated on him. She returns to the village divorced and almost broke. 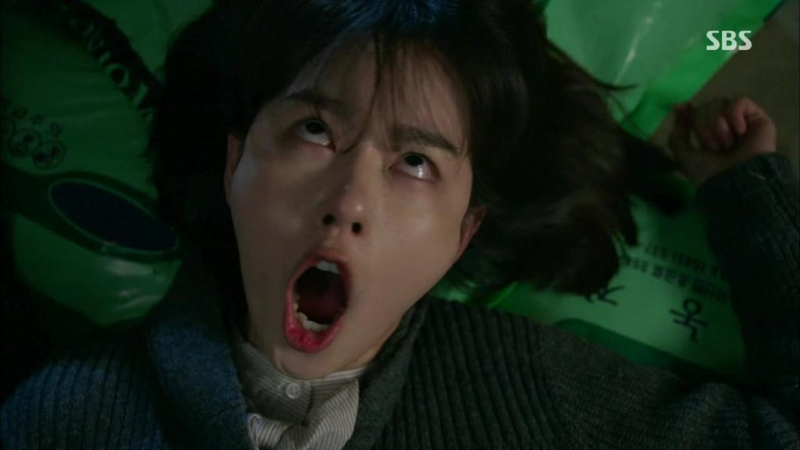 The drama deserves credit for not playing the betrayal off as a simple misunderstanding (and leading to a fairy-tale ending); instead, it allows the characters to fully express how devastating and confusing cheating can be. Min-ki (Lee Hong-ki, FT Island, You’re Beautiful) is in a category all of his own. He bounces back and forth between the selfish child and the empathic friend. Like Kang, he can be guarded at times but he does express his feelings about his love for celebrity singer Yoo-na (Han Bo-reum, Dream High). He also shows his tender and more considerate side by helping Yoon-hee’s son with his bullies and Yoon-hee with her business. But he still circles back to his more selfish attitude at times because caring for others makes one emotionally vulnerable. Nevertheless, Min-ki shows growth and it would be unrealistic if he didn’t experience some relapses along the way. Despite the developing romances, the series continues to show its quirky sense of humor. Many scenes poke fun at stereotypical drama love scenes, like picking up the sleeping love interest or huddling together and taking cover under leaves in “bad weather” (people who have watched through episode 8 will know what I mean). The series also does a good job of not forgetting about the secondary characters. As the show explores the various plotlines with the four musicians and Yoon-hee while the secondary characters continue to make meaningful appearances. The village as a whole continues to be the focus of the series.